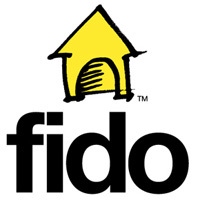 During the course of this summer, Fido customers will start being able to access LTE throughout Canada. This will begin in Vancouver, Calgary, Toronto, Ottawa, Montreal, St.John’s, and their surrounding areas.. By the end of 2012 it should also include Moncton, Trois-Rivières, Sherbrooke, Québec City, Kingston, Ajax, Pickering, Oshawa, Oakville, Burlington, Hamilton, St. Catharines, Niagara, Windsor, Cambridge, Kitchener, Waterloo, Guelph, London, Barrie, Sudbury, Saskatoon, Regina, Winnipeg, Edmonton, Kelowna, Abbotsford and Victoria. It looks like at launch Fido will be offering an LTE Hotspot device, with LTE compatible smartphones launching later in the year. “We are thrilled to offer the benefits of LTE network technology to Fido customers this year,” said Steven Sarfin, senior director of marketing, Fido Solutions. “Our focus at Fido has always been on providing the best value to our customers. With data plans starting from $10/month, affordable LTE service is a perfect complement to the exclusive FidoADVANTAGE programs like FidoTRADE™, Fido LiveANSWERS™ and FidoDOLLARS™ our customers already enjoy.” Sarfin added. Discuss in our Rogers, Fido and Chatr Wireless forum.